The software products "WINSLT®" and "GlasGlobal®" of Sommer Informatik GmbH from Rosenheim were extended by a database for tested superstructures and their acoustic insulation dimensions. In our presentation video we introduce the new module to you. 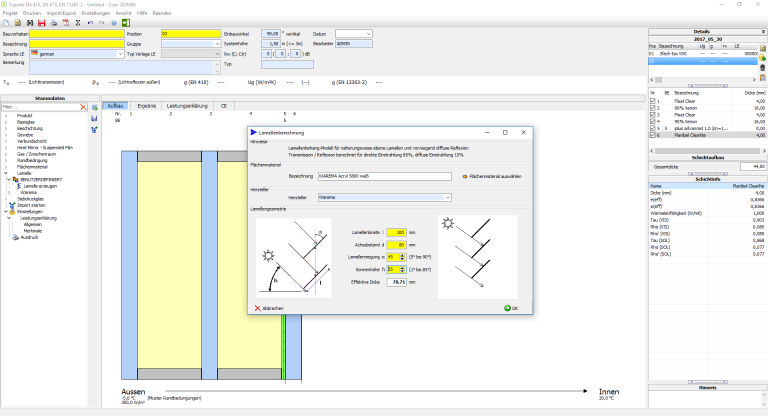 The calculation program WINSLT® has been validated by the ift Rosenheim on standard-compliant execution of the calculations of light, solar and thermal properties of glazings according to the standards EN 410 and EN 673. 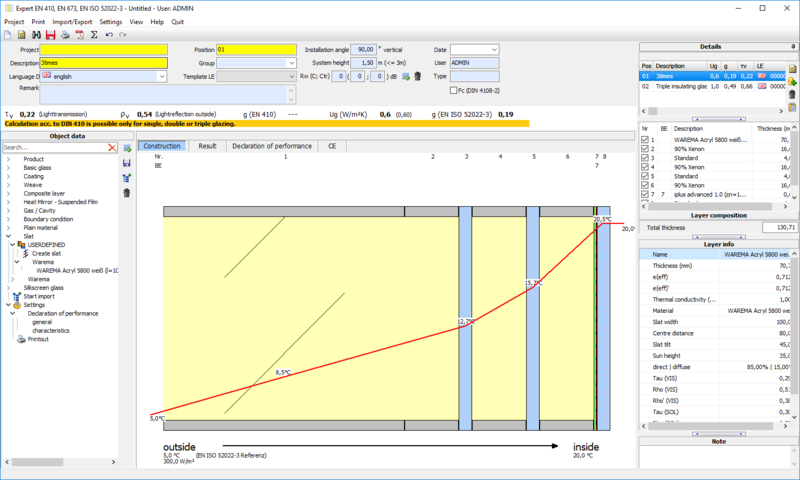 ...weiterlesen "Validation of the WINSLT® software by ift Rosenheim"
Calculation of the radiation-physical and thermal characteristics according to ISO 15099 with the specifications of ASHRAE. 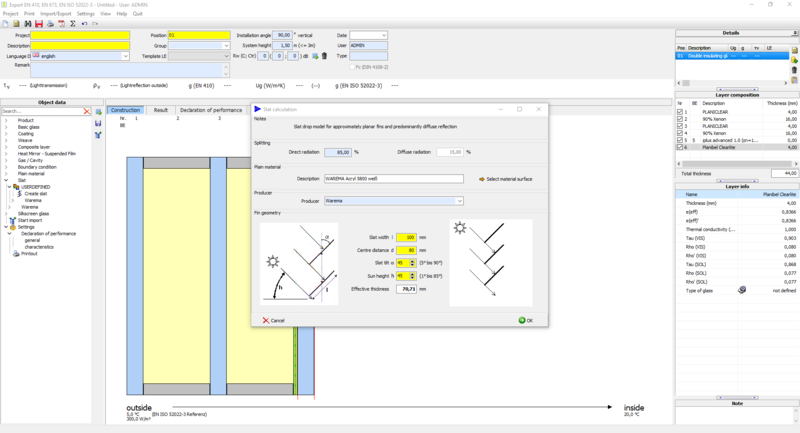 WINSLT® is the software solution for calculating light technical, solar and thermal properties of glazing in combination with solar shading. can be calculated. The software is certified by ift-Rosenheim also generates a declaration of performance and CE marking of the glazing. In WINSLT® you can import and use your own spectral data sets for coatings, glasses and sun protection. The climatic boundary conditions are freely selectable. Furthermore, the structure can consist of any number of glass panes and a lamella module is available as an add-on. 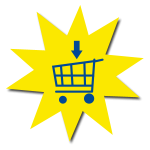 After your calculation, the performance data determined for the respective product variants can simply be transferred to the declaration of performance and printed out. Extraction of spectral data of laminated safety glass films from spectral data of entire laminated safety glass assemblies and extraction of spectral data of coatings from the spectral data of coated glasses. The extracted data can then be combined with other glasses than measured. On 1 July 2013, the Construction Products Directive was bindingly replaced by the new Construction Products Regulation. Due to its legal form, the Construction Products Regulation applies equally in all member states. With their introduction, the CE marking has been uniformly regulated throughout the EU. Previously valid national regulations have been dropped. Thus, the CE marking is also binding in all member states. ...weiterlesen "Declaration of Performance / CE Marking"